OTTOVILLE — The Lady Green stayed in it until the end, but Liberty Benton pulled away late in the game for a 17-15 victory on Thursday. The game was tied at 15 with Liberty Benton batting in the top of the seventh when Katie Veenstra singled on a 1-2 count, scoring one run. 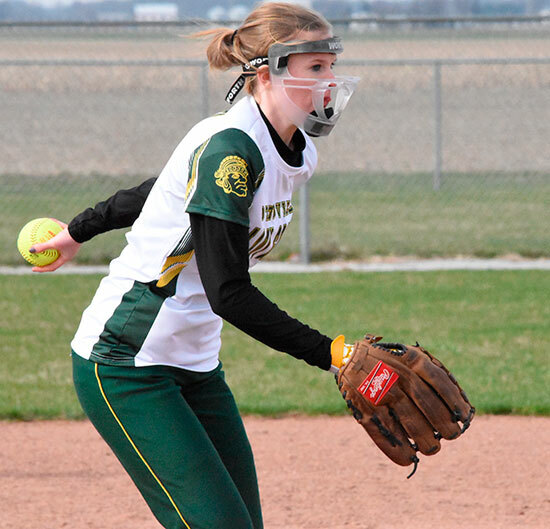 Ottoville Lady Green Varsity scored six runs in the fifth inning. Kylee Klenz, Brooke Kortokrax, and Emma Birr each had RBIs in the frame. Liberty Benton scored 10 runs in the final two innings to seal a 17-15 victory over Ottoville. Allie Honigford took the loss on the mound for the Lady Green. Ottoville falls to 0-7 (0-1 PCL) with Thursday’s loss.